The cast has an impromptu photo shoot during one of their rehearsals. 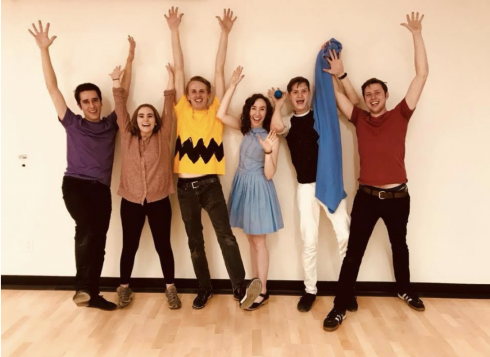 The first play, You’re a Good Man Charlie Brown is a musical comedy with music and lyrics by Clark Gesner based on characters from the comic strip Peanuts by cartoonist Charles Schulz. 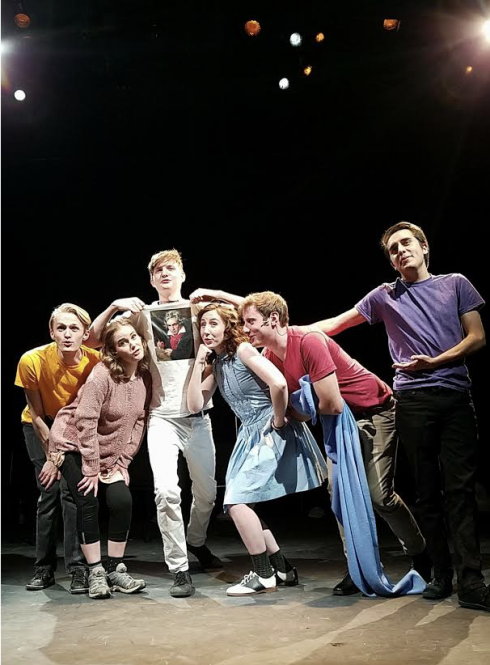 The play is set when the characters are children and provides background for the staged reading of Dog Sees God, a piece by Bert V. Royal which presents the Peanuts characters as teens. 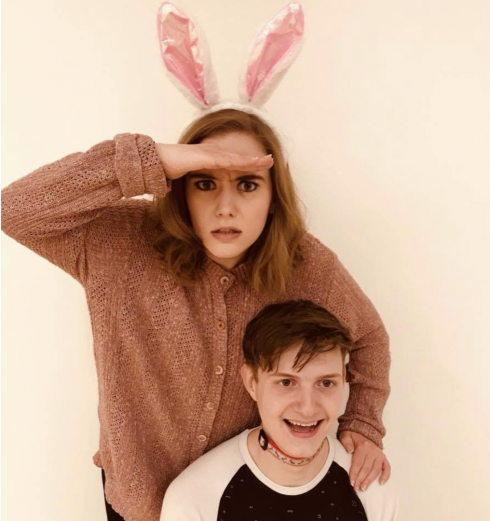 Martha Thatcher (Sally and CB’s Sister) and Grant Luecke (Snoopy) have fun posing in a cast-run photo shoot. Photo by the cast. You’re a Good Man Charlie Brown was presented as a fully a realized production with lights, music and choreography; Dog Sees God was a staged reading where actors kept in a fixed location with only essential stage movements. 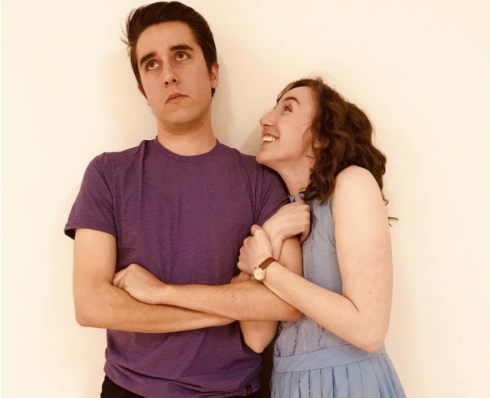 Nolan Sanchez (Schroeder and Beethoven) and Hannah Fawcett (Lucy and Van’s Sister), pose for the cast photo shoot. Photo by the cast.